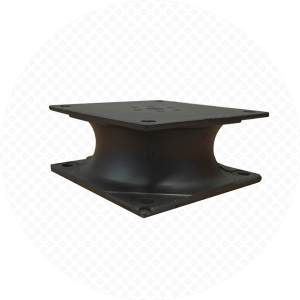 Our carbon blacks provide unique properties to enhance the durability and dynamic properties of AVS and engine mounts. 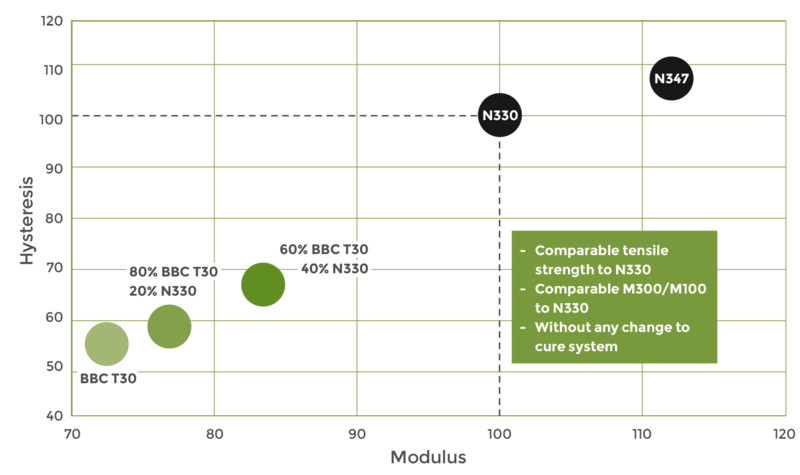 Our low structure imparts comparable or better compression set values at equal cross-link density when compared to N550, N330 and N326. Introducing BBC TR30 will give better mechanical properties as well as enhanced dynamic properties such as flex fatigue, Payne effect and tan delta which will drastically improve compared to N550/772. Also, low hysteresis will reduce heat build-up and the presence of silica will substantially improve metal bonding compared to N772. Black Bear’s products display a unique combination of very low tan delta values in compression and torsion, very low Payne effect (comparable or lower than N660) combined with a high mechanical reinforcing index (M300/M100 ~ 5.4). This is the result of a medium/high STSA surface area combined with a low effective volume fraction and a uniquely broad primary and aggregate size distribution. By substituting BBC TR30S (which contains 25 wt.% silica) the compounder can reduce the amount of free silica required in the recipe or simply use this grade to add an amount of silica to the recipe to enhance rubber-to-metal bonding. The silica which is added via the BBC TR30S will reduce the incorporation time, reduce wear on mixing equipment and improve silica dispersion levels. Importantly, the silica in BBC T30S is receptive to silane coupling.